In addition to this, it also affects the structural properties of concrete, causing damage to the beauty of the building. According to Civil Engineers Forum, if water leakage can be prevented, almost 80% of building defects can be removed. Living in such unpleasant conditions can also have an adverse effect on human health and in worse cases also cause respiratory tract ailments. 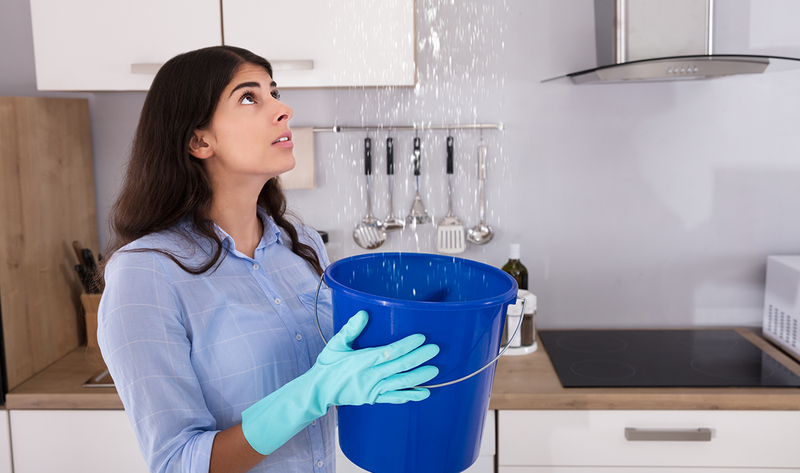 Water seeping into any structure is extremely detrimental and one should take necessary precautions at the construction stage itself to ensure minimal or no damage at all. It is also a very costly affair to repair if a building structure is damaged by water. It is observed that when it comes to waterproofing of areas such as bathrooms, roofs, terraces, balconies and home walls, we often use the same old conventional methods. In India, conventional methods use normal screed and APP membrane coating, which creates various problems in the long run. Cement based wall putty is another conventional method that does not form an impermeable film, leading to recurring dampness. Let’s take a closer look at these conventional methods and their disadvantages. What is screed? It is a thick layer of sand, cement and bricks. A heavy layer is created on the top of the roof. One of the major disadvantages of this method is that it does not help with waterproofing of the surface. Cracks develop in the layer and water penetrates in it easily. In addition to that, it is costly and comes with no warranty. Normal mason applies it without proper knowledge of what screed actually does. Apart from normal screed, Atactic Polypropylene Polymer or Plastomeric Membrane is also used. 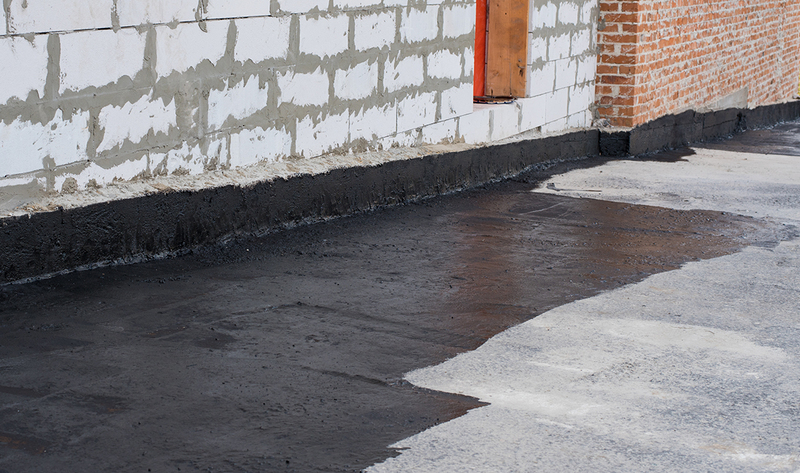 It is a black bitumen-based waterproofing membrane that is a common product available across the country. It has fibreglass or polyester sandwiched in between bitumen coating. Bitumen is mostly produced from crude oil making it not sustainable. There are more disadvantages to using the APP membrane coating. Since it is black in colour, it absorbs heat and the room under the roof on which APP membrane is applied gets heated up rapidly. Thus, consumption of electricity increases, leading to higher electricity bills. In the application of the APP membrane, heat is required so that the membrane binds itself to the surface. Pollution is created during the application of the membrane, making it an inconvenient process. Apart from all this, trained applicators are required to apply the coating or else the desired results are not seen. This makes the superiority of APP membrane dependent on the applicators. Furthermore, it creates a load on the roof and decreases its life. If one of the membranes is broken, then it is not possible to change one part. The complete coating needs to be redone, leading to increasing costs. The cost is approximately Rs. 50 per square feet. Hence for 1000 square feet roof, the cost comes to Rs. 50,000 which makes it expensive. 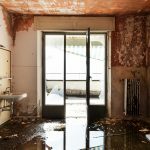 Due to all these disadvantages, modern wall waterproofing techniques are not just a requirement, but a necessity. The good news is Berger Paints India has launched Homeshield PU RoofKoat, a revolutionary product to waterproof not just the four walls of your house, but also the fifth wall – your roof, which is often neglected and overlooked. It is a one-of-a-kind liquid elastomeric waterproofing paint with versatile usage on the vertical surface, apart from the roof of your home. It works as a barrier coating to protect the walls from harsh elements of nature. The cost is approximately Rs. 35 per square feet. Hence for 1000 square feet, the approximate cost comes to Rs. 35,000, making it cost-effective and a better option. What’s more, it has a 10-year-warranty, ensuring your peace of mind. Berger’s Homeshield PU RoofKoat is UV resistant. It is highly elastic with a superior crack-bridging property (up to 350% elongation). It offers excellent adhesion on porous and non-porous substrates. It does not create additional load on the roof, leaving the life of the roof unaffected. It can easily be applied over the bituminous surface by any painter easily with the help of a brush. In addition to this, Homeshield PU RoofKoat is white in colour and reflects heat. It is important to note that SRI is a reflection of light and heat from the roof. It is a mandate to have a product which has SRI of 105% and the product adheres to it. It is, thus, used as a reflective coating to enhance energy efficiency. This makes it environment-friendly. Despite the several benefits that new methods and waterproofing products have to offer, we have a tendency to stick to old, archaic methods. 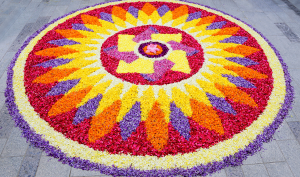 One of the reasons for this is the lack of knowledge about the materials used in the older techniques as well as the latest techniques. It is time we embrace the best of what technology has to offer. For a country like India with its seasonal heavy rainfall, it is imperative that home owners opt for efficient waterproofing of their home structures at the right time and be prepared. To conclude, when it comes to waterproofing, you need to have a long-term perspective and think about the future if you wish to build strong homes. Waterproofing is a critical step but should be based on environmentally friendly, non-toxic and energy-saving techniques, which makes Berger’s Homeshield PU RoofKoat your best bet! Berger’s Homeshield PU RoofKoat can prove to be the most efficient and even most economical in the long run. It is suitable for both new constructions as well as refurbishments. It is recommended for roofs with complex details and limited accessibility.